With the time a hot object cools down and it temperature slowly goes down till it reaches the surrounding temperature. Similarly a cold object temperature rises to the surrounding temperature with the time. In both cases object exchanges its heat with the surrounding to reach the final temperature or so called equilibrium temperate. 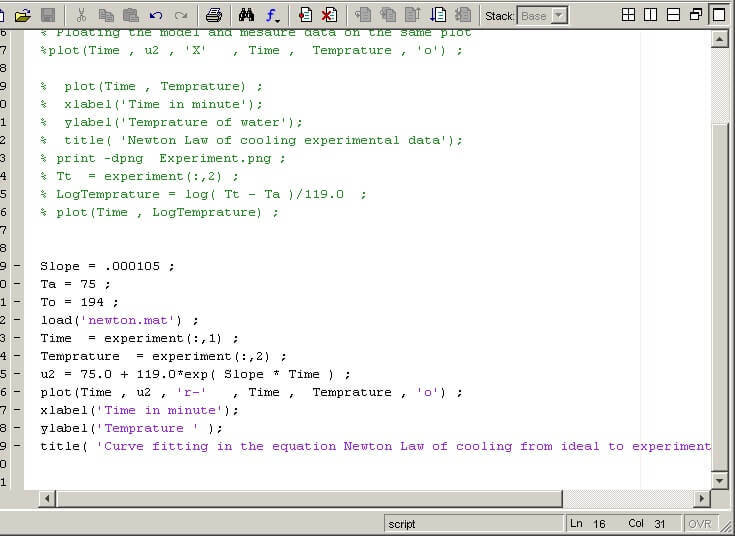 Further we observer that more the difference in the temperature between the surrounding and the objects faster is the heat exchange under the similar condition of the other parameters. 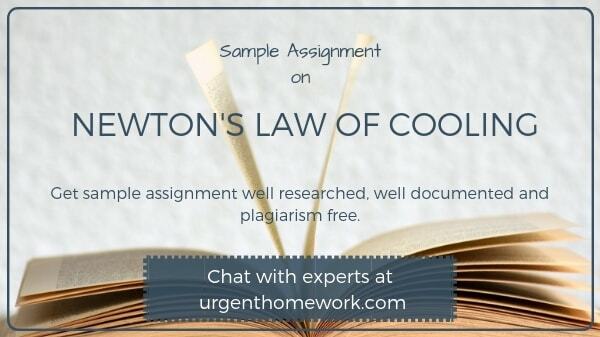 Sir Newtown’ proposed a law called “Newton’s Law of cooling” for cooling of objects. 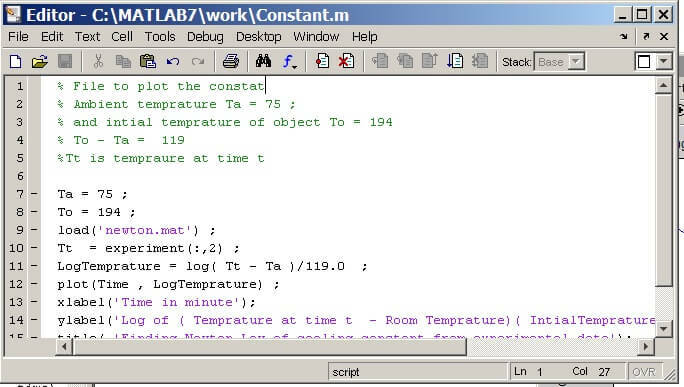 This law states that the rate of change of the temperature of an object is proportional to the temperature difference between object’s temperature and the ambient temperature that is surroundings temperature of the objects. 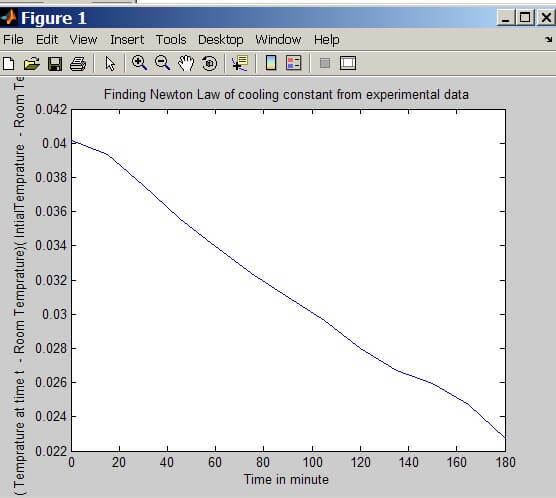 Such behavior has been observed many times in laboratory experiments and it is also verified, Hence Newton’s Law of cooling widely accepted. We know that object can transfer the heat to its surrounding by any of the three method of heat exchange not only due to conduction and convection but also due to radiation. The latter does not vary linearly with temperature difference, which leads to deviations from Newton's law. 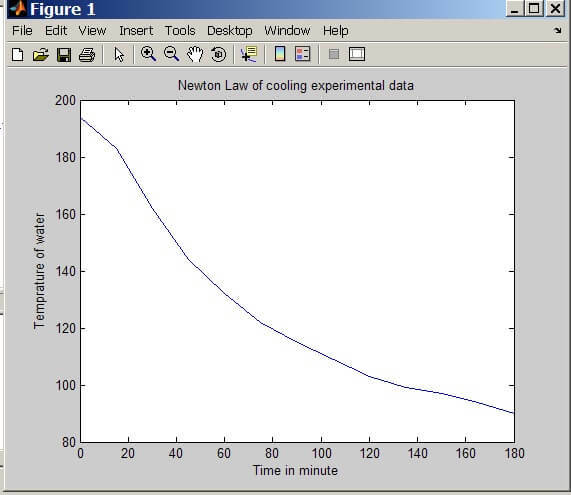 Newtown’s law of cooling - The rate of temperature change of a substance is proportional to the difference between its temperature and the ambient room temperature. 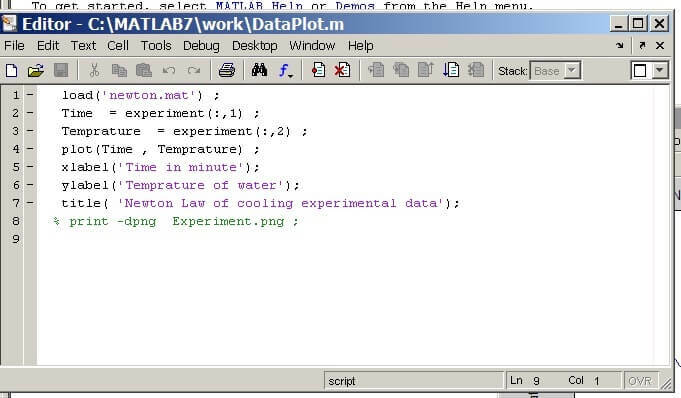 Where T(t ) = Temperature of the object at any time t.
Solving this differential equation we get and using the initial condition that temperature of objects and ambient temperature we get the equation as follows that is in the most general form. Aim: Our aim is to verify that under our experimental condition that is mentioned in the above table if Newtown’s law of cooling is applicable. Procedure: A cup of hot water at 194 degree Centigrade was taken in the Styrofoam cup with the decision based upon the availability of the cup. Putting the temperature probe in the water half dipped and then we allowed the water to cool down and we measure the temperature as following.